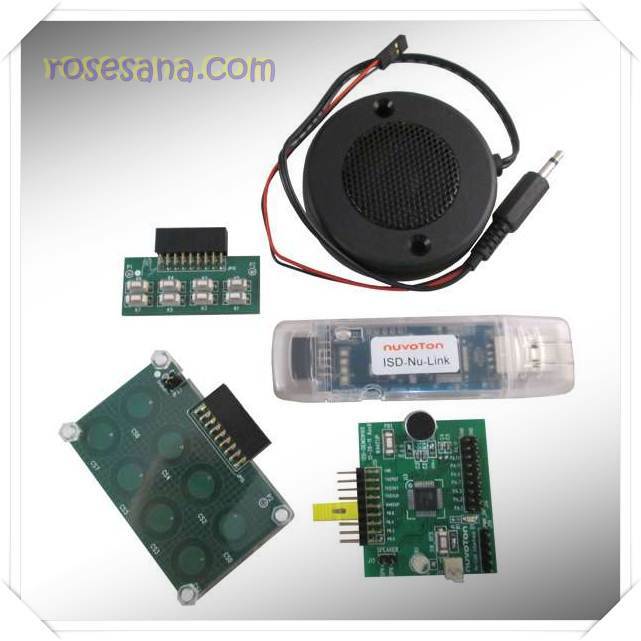 Training kit for IC ISD9160 voice recorder. This IC chip is equipped with ARM Cortex-M0 to assist in the manufacture of complex systems, such as speech recognition. At this kit sales package included modules for ISD9160 and some I / O module support, such as touch screens and switches. - Based ISD9160 IC (integrated with the ARM Cortex-M0). - Can be applied for the purposes of speech recognition. 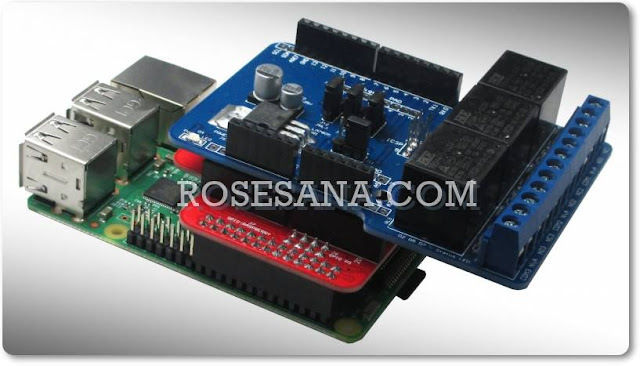 - Significant internal microcontroller can be programmed using ISP or ICP from Nuvoton. - Sales Package: 1x-DEMO9160 ISD, ISD-9160-1x Touch, 1x ISD-9160-KB (switch), 1x Speaker, 1x ISD-and Nu-Link.